In a mixing bowl stir together the flour and salt. Slowly stir in the warm water to make a stiff dough. Turn the dough out onto a lightly floured surface and knead for 10-15 minutes or until the dough is smooth and elastic. Cover and let rest for 02 minutes. Divide dough into fourths. Roll each fourth into a 12 inch square. Keep remaining dough covered. For wontons, with a sharp knife or a pastry cutter, cut the dough into 3 inch squares. To prevent the squares from sticking together, sprinkle with a little cornstarch; stack and refrigerate the skins in a plastic bag. Fill according to directions on these pages; cook as directed in individual recipes. Makes 64 wonton skins. 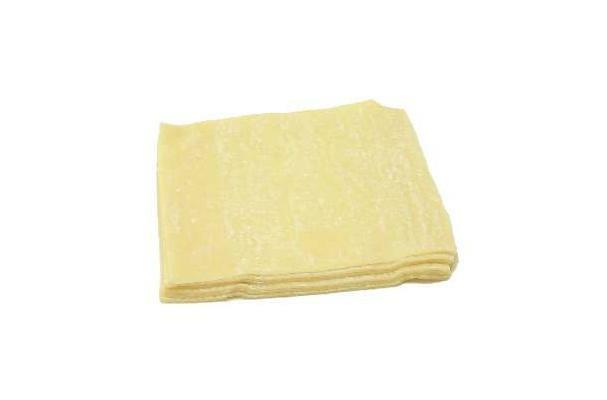 Egg Roll Wrappers: For egg roll wrappers, prepare the Wonton skins dough as directed above; roll each fourth into a 12 inch square. With a sharp knife or a pastry cutter, cut the dough into 6 inch squares. Sprinkle the squares with a little cornstarch to prevent them from sticking together; stack and refrigerate the wrappers in a plastic bag. Fill and cook the egg rolls according to the directions in individual recipes. Makes 16 egg roll wrappers.